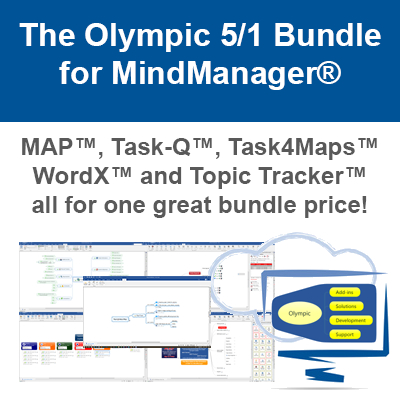 The latest edition of MAP for MindManager, MAP 3.5, is out today and available to download and purchase online. This new edition introduces a new function, Outlook Mail Map as well as several minor bug fixes. Outlook Mall Map enables users to Import emails from Outlook for archiving, sharing and Team Collaboration. This helps store/archive specific e-mail types or conversations with other project or subject information keeping all pertinent information accessible in one place. 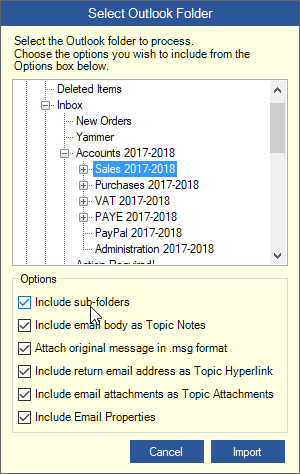 Outlook Mail Map has been added to the Exports MAP Ribbon Group which has now been renamed “Imports/Exports” to accommodate this and future MAP functionality that Imports data into MindManager Maps. Simply select the Outlook mail folder you wish to import from the displayed dialog, select your user configurable options and let Outlook Mail Map do the rest. You can select several options when Importing your emails such as whether to include sub-folders, include e-mail body as Topic Notes, attach the original message in .msg format, include the return e-mail address as Topic Hyperlink, include e-mail attachments as Topic Attachments and include E-mail Properties. When you opt to include the mail body as Topic Text Notes, Outlook Mail Map cleans any HTML from the text and removes whitespace such as extra carriage returns and line feeds to give you an easily readable text. 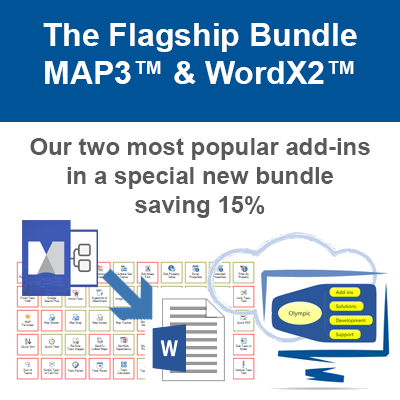 When you opt to include sub-folders, Outlook Mail Map builds an identical folder structure in your Map making it easy and intuitive to locate the mail items you require. Outlook Mail Map helps you archive emails, share conversations and email dialog with other team members/work colleagues and helps you maintain a healthy, lean Outlook. Give it a try today with our 14 day trial and see how easy it can be to tame your Outlook Inbox. We had a number of small fixes applied to several sort functions, namely Property Sort and Quick Sort. 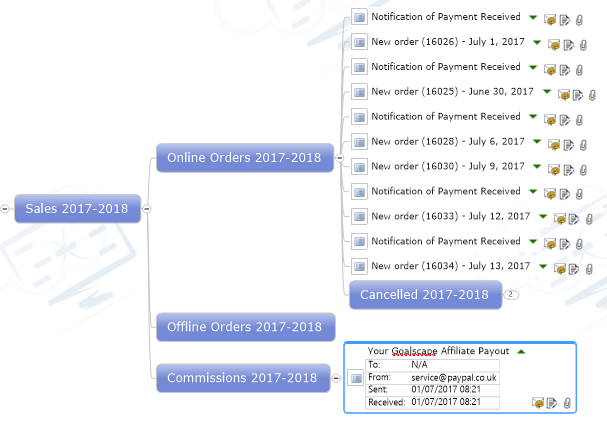 These functions have been improved so that Topic Id’s remain intact after sorting thereby maintaining integrity of any internal links and calculated properties. We also fixed an issue with the Property Filter which was not working correctly with percentage values. Check out further details in the Interactive Online Map produced with MindManager 2017’s HTML Export.